From consumer packaged goods (CPG) to technology, companies in all sorts of industries are adopting the subscription business model. But, despite the differences in their offerings, merchants that offer subscriptions share similar challenges: They must provide a smooth process for product delivery and payment acceptance. And they must make sure their plans have the options that consumers demand. In pursuit of this goal, merchants are tapping into features to help drive subscription conversions. While the most recent PYMNTS Subscription Commerce Conversion Index found that merchants have mostly stayed the course and did not implement major changes, the index found that some plan features are common among the top performers. Ninety-five percent of these retailers offered plan options, for instance, in Q4 2018. Nearly all — or 95 percent — of the top performers had implemented plan options in Q4 2018. Internet of things (IoT) startup PupPod has three subscription tiers, basic, premium and concierge, which the company CEO Erick Eidus told PYMNTS in a recent interview was “a way to test the market.” He has noticed that approximately 30 percent of his subscription customers have chosen his highest-tier concierge plan, while most other customers have chosen his middle-tier plan. In contrast, few customers have chosen the basic offering. To purchase his offering, consumers can pay either through the PayPal or Stripe payment gateways, and they select a membership plan when they purchase their IoT wobbler dog toys on PupPod’s site. Nine in 10 of the top performers — or 90 percent — offered mobile optimization in Q4 2018. 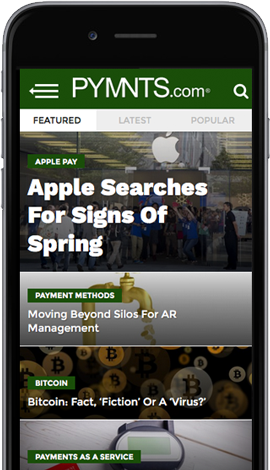 And some subscription offerings are turning to mobile payments. In December, it was reported that Hulu and Venmo teamed up to provide the latter company’s digital payment services to the Hulu streaming platform. With the partnership, those who have an account with Venmo can sign up for a new account in a matter of clicks instead of entering credit card information. And, at the payment screen, consumers who select Venmo as a payment option can use a linked payment or their Venmo balances. “We’re very excited about this partnership because Hulu is the first-ever TV streaming service to offer Venmo as a payment option for your subscription,” the company said in a December web post. Seven in 10 — or 70 percent — of the top performers had feedback in Q4 2018. To sign up for pet food subscription service The Farmer’s Dog, pet parents answer questions about their dogs as if they were going to a vet nutritionist. While the number-one variable in the process is how much a dog weighs, the service takes other variables into account when creating a meal plan, including food sensitivities, intolerances and allergies. If a customer’s dog is allergic to pork, for instance, a customer would not see pork as an option on the platform. The idea is to provide a different experience from the dizzying array of possibilities in the pet food aisle. And 15 percent of the top performers offered marketing opt-in in Q4 2018. Some subscription offerings are providing content and information to customers. FabFitFun’s media business, for instance, puts a magazine in every subscription box and the company publishes original content such as a newsletter. The company has also expanded into video content with a live-stream video roll out. (The channel is offered on Facebook each day.) As it stands, the company’s boxes have varied products from food to technology and contain eight to 12 products. From pet food to video streaming, merchants that offer subscriptions are turning to features such as plan options and mobile optimization to meet the needs of their customers. And, while some industries are more successful in adopting the business model than others, all merchants need to understand the features that best fit the needs of their product offerings and subscribers heading into the future.